← Vilda örter i staden! // Wild herbs in the city! 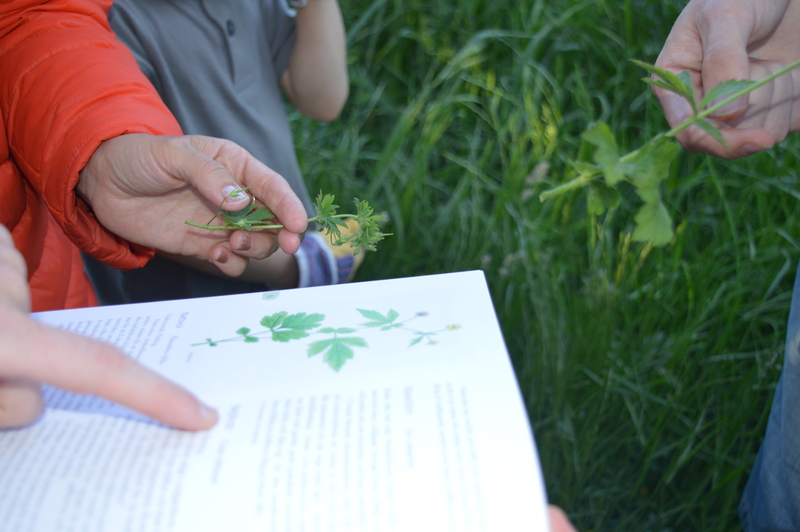 On Monday evening around 20 people gathered in the west of Lund to pick and learn about wild herbs together. 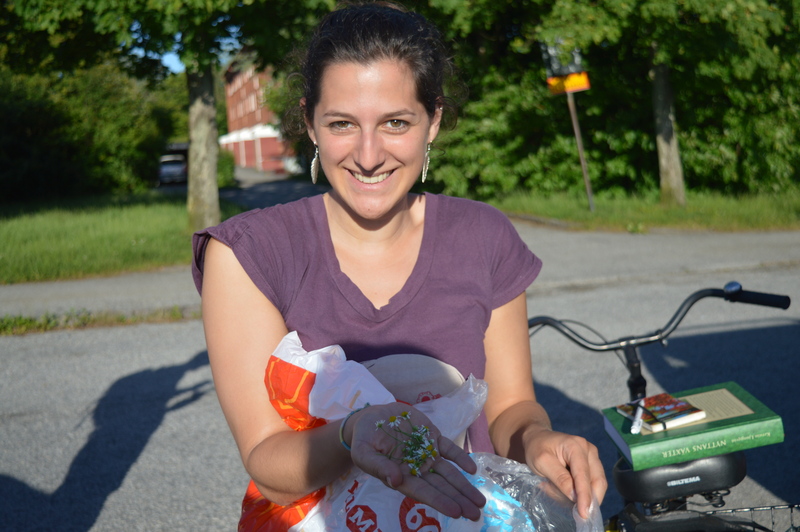 By using common knowledge, books and the internet, we found let alone on Högbovägen and on the little path that leads to the dams more than 15 edibles! Check out the pictures for a selection. Charlotte points out the flowering rosehips (nyponros). Both the leaves and the fruit can be used for jellies or jams. 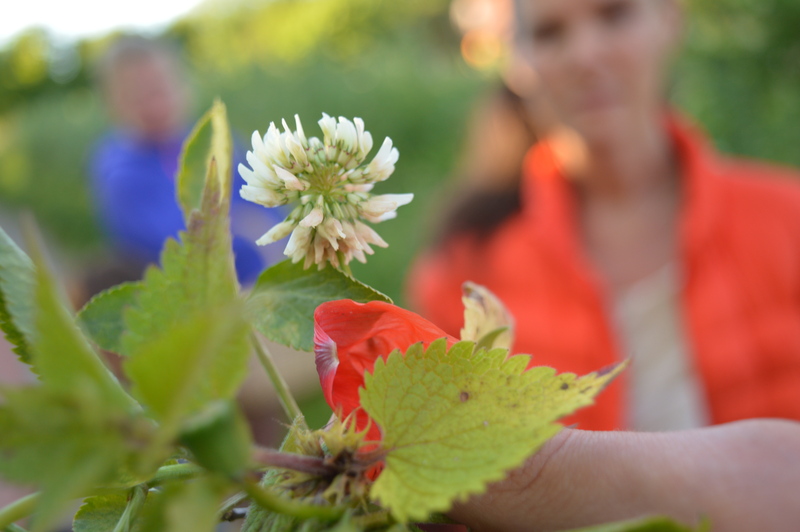 The flower of the white clover (klöver) has a very sweet taste and is both an aesthetic and tasteful additive to your salad. 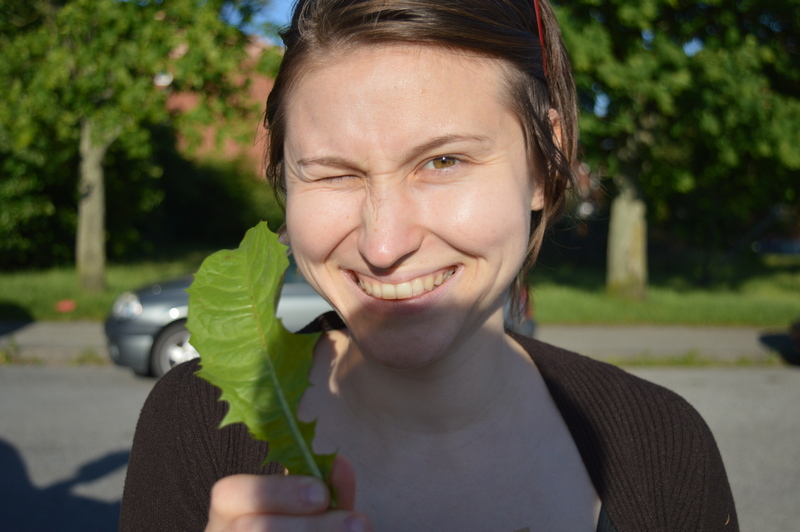 Maria is happy to spice up her salad with dandelion (maskros) leaves. 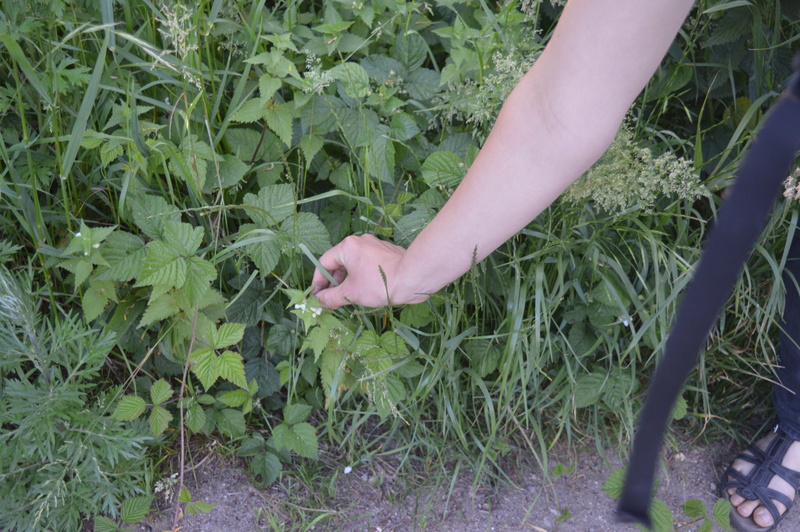 Picking white dead-nettle (vitplister) which are not stingy and of which the white little flower tastes like a sweet treat! 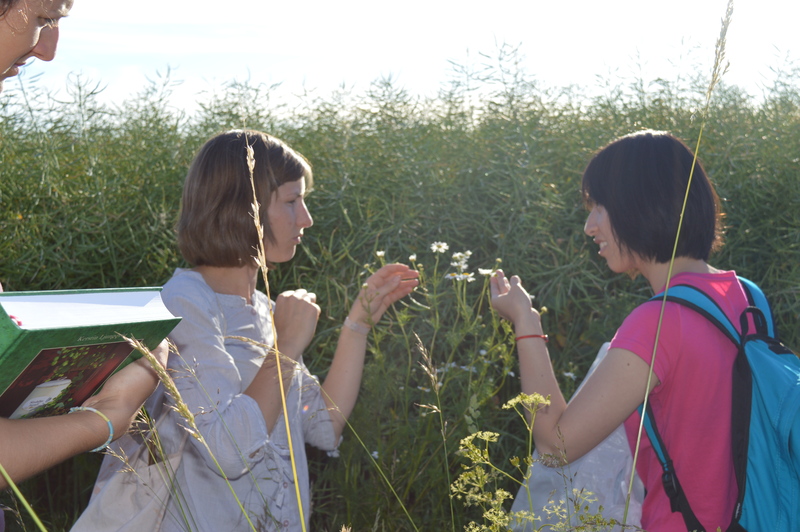 Glad we had a flora encyclopedia with us to compare if we have the right herb and to read up on its medical uses. 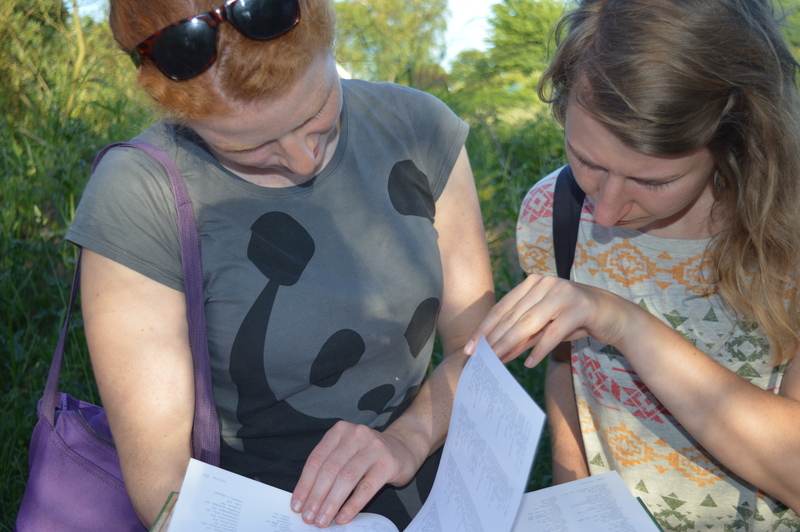 The two biologists wondering over the correct Latin name. … yes, it is! Simply dry it and it’s delicious for tea and has numerous medical uses! 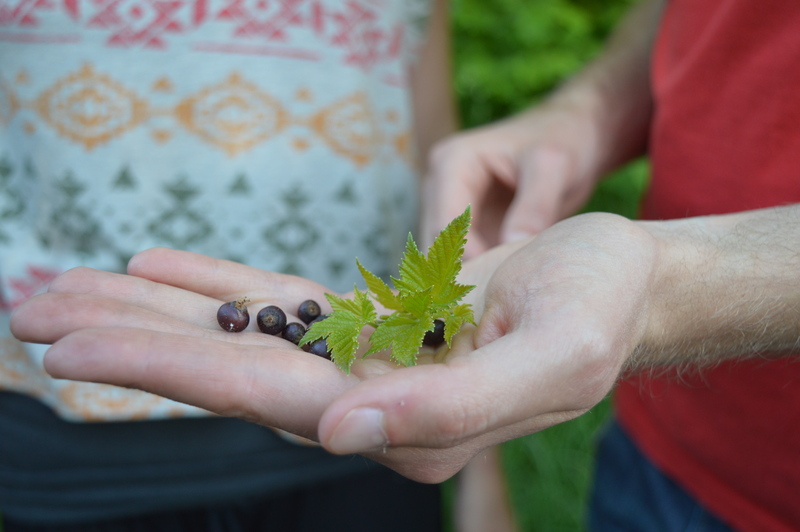 We already found black currants (svartvinbär) which will be ripe in July. We wish you a fruitful day and hope to see you in July when it’s time to pick cherries – just follow our blog and Facebook! This entry was posted in Events, Picking together. Bookmark the permalink.